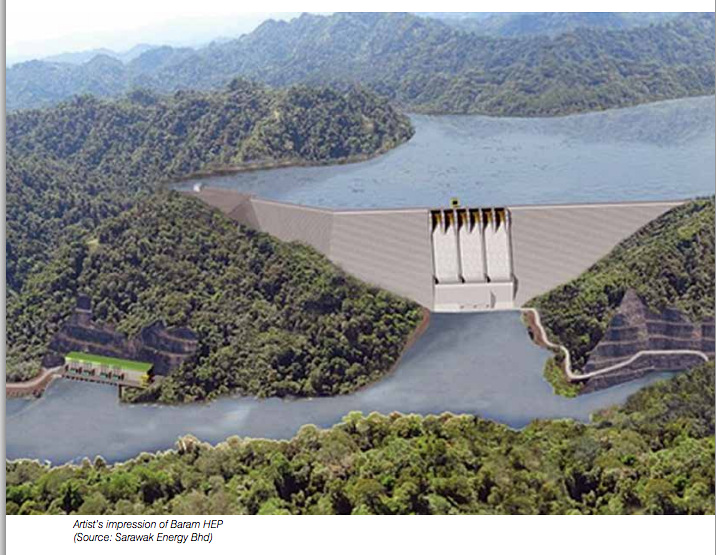 Artist’s impression of Taib’s “brainchild” the planned Baram Dam. As Adenan Satem ploughs on with Taib’s SCORE (Sarawak Corridor of Renewable Energy) programme for 15 more mega-dams in Sarawak, the evidence continues to mount that these structures are an outdated concept, which are being proved to do far more harm than good and to lose rather than gain money for the host countries concerned. 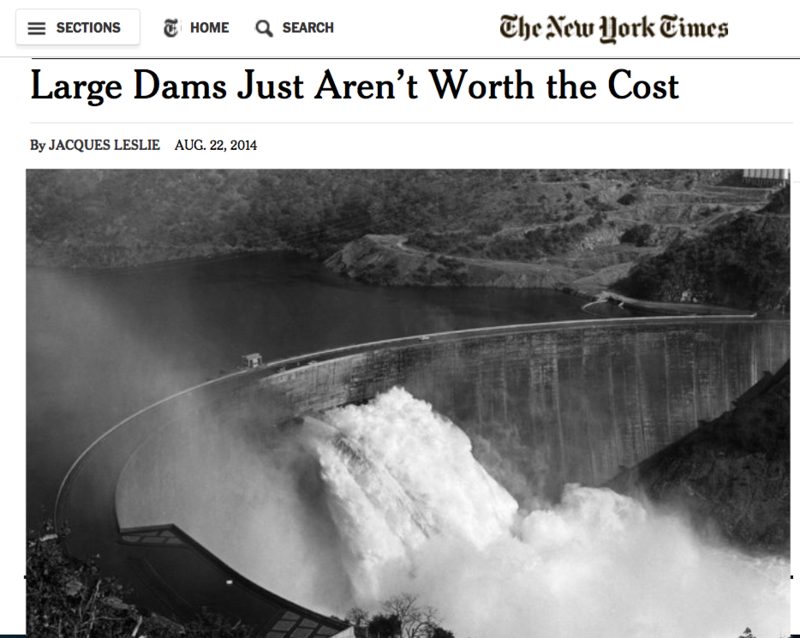 First there was the devastating Oxford University reportearlier this year, now the New York Times has documented the conversion of a former leading champion of dams for development into a committed opponent. Professor Thayer Scudder, an American anthropologist, has studied the impact of dams over the past century, which he had originally hoped would help draw backward communities out of poverty. With so much mounting concern and evidence against the wisdom of pouring billions into dams, for which there is no immediate or conceivable need in Sarawak, it is starting to defy belief that Taib Mahmud and his foreign agent Torstein Dale Sjotveit continue to doggedly insist on the need to destroy Sarawak’s rivers and communities, without paying heed at all to the economic and social dangers. The communities of the Baram River region are rising up to make the points reflected in Professor Scudder’s own analysis and yet Taib and his puppet chief minister Adenan are adamant they know better and that billions must be borrowed, in order to bring in Chinese companies to embark on a series of dams that no western company would be willing to touch for ethical reasons. The people of Sarawak will have to pay for this wild gamble for development, but there is one person and one family that stands magnificently to gain. They are the Taibs, whom the Governor has of course placed in pole position to win all the billion dollar contracts in this “development” spree. A frequent consultant on large dam projects, Mr. Scudder held out hope through most of his 58-year career that the poverty relief delivered by a properly constructed and managed dam would outweigh the social and environmental damage it caused. Now, at age 84, he has concluded that large dams not only aren’t worth their cost, but that many currently under construction “will have disastrous environmental and socio-economic consequences,” as he wrote in a recent email. “Planners are systematically biased toward excessive optimism” – time for Taib to tone down his promises? Using the study’s criteria, most of the world’s planned mega-dams would be deemed cost-ineffective. That’s unquestionably true of the gargantuan Inga complex of eight dams intended to span the Congo River — its first two projects have produced huge cost overruns — and Brazil’s purported $14 billion Belo Monte Dam, which will replace a swath of Amazonian rain forest with the world’s third-largesthydroelectric dam. Instead of building enormous, one-of-a-kind edifices like large dams, the study’s authors recommend “agile energy alternatives” like wind, solar and mini-hydropower facilities.